For more information or advice, please fill in your details below and we will contact you shortly. Pensions have the reputation of being confusing, but they needn’t be. Private pensions are usually used by people who don’t have access to a workplace pension scheme, but you can also have one if you are employed or not working. They work in much the same way as workplace pension schemes, but you, rather than an employer, are responsible for choosing the provider and setting up your plan. When you pay into a pension, you receive tax relief on any contributions you make. People may turn to private pensions as a tax-effective way to bolster their retirement income. There are several different types of private pension to choose from, but in light of recent government changes, the tax aspects require careful planning. The term ‘private pension’ covers both workplace pensions and personal pensions. The UK Government currently places no restrictions on the number of different pension schemes you can be a member of. So, even if you already have a workplace pension, you can have a personal pension too, or even multiple personal pensions. These can be a useful alternative to workplace pensions if you’re self-employed or not earning, or simply another way to save for retirement. Any UK resident between the ages of 18 and 75 can pay into a personal pension – although the earlier you invest, the more likely you are to be able to build up a substantial pension pot. Private pensions are designed to be a tax-efficient savings scheme. The Government encourages this kind of saving through tax relief on pension contributions. In the 2018/19 tax year, pension-related tax relief is limited to either 100% of your UK earnings, or £3,600 per annum. If you are a Scottish taxpayer, the tax relief you will be entitled to will be at the Scottish Rate of Income Tax, which may differ from the rest of the UK. Any contributions over the annual allowance won’t be eligible for tax relief, and you will need to pay an annual allowance charge. This charge will form part of your overall tax liability for that year, although there is the option to ask your pension scheme to pay the charge from your benefits if it is more than £2,000. It is worth noting that you may be able to carry forward any unused annual allowances from the previous three tax years. The lifetime allowance (LTA) is the maximum amount of pension benefit that can be drawn without incurring an additional tax charge. Since 6 April 2018, the lifetime allowance is £1,030,000. Your pension provider will be able to help you determine how much of your LTA you have already used up. This is important because exceeding the LTA will result in a charge of 55% on any lump sum and 25% on any other pension income such as cash withdrawals. This charge will usually be deducted by your pension provider when you access your pension. It’s easier than you think to exceed the LTA, especially if you have been diligent about building up your pension pot. If you are concerned about exceeding your LTA, or have already done so, you should talk to us. The Lifetime ISA, launched in April 2017, is open to UK residents aged 18–40 and enables younger savers to invest up to £4,000 a year tax-free – and any savings you put into the ISA before your 50th birthday will receive an added 25% bonus from the Government. After your 60th birthday, you can take out all the savings tax-free, making this an interesting alternative for those saving for retirement. 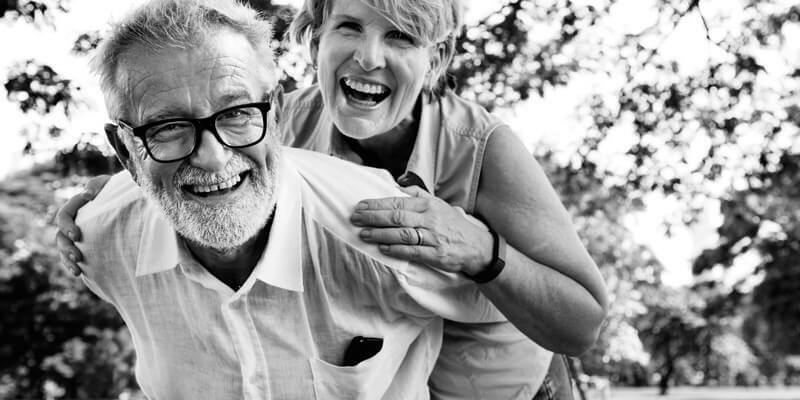 Finally, it is worth noting that there will normally be no tax to pay on pension assets passed on to your beneficiaries if you die before the age of 75 and before you take anything from your pension pot – as long as the total assets are less than the LTA. If you die aged 75 or older, the beneficiary will typically be taxed at their marginal rate. Whether you are leaving work, handing over the reins of a business or looking to enjoy the next chapter of your life, we’ll help you have a prosperous and satisfying retirement. To find out more, please contact Reeves Financial on 01403 333145 or email areeves@reevesfinancial.co.uk. This is for your general information and use only and is not intended to address your particular requirements. The content should not be relied upon in its entirety and shall not be deemed to be, or constitute, advice. Although endeavours have been made to provide accurate and timely information, there can be no guarantee that such information is accurate as of the date it is received or that it will continue to be accurate in the future. No individual or company should act upon such information without receiving appropriate professional advice after a thorough examination of their particular situation. For Reeves Financial, published by Goldmine Media Limited, Basepoint Innovation Centre, 110 Butterfield, Great Marlings, Luton, Bedfordshire LU2 8DL Content copyright protected by Goldmine Media Limited 2017. Unauthorised duplication or distribution is strictly forbidden. Adam was quick to assess & understand my situation, and was able to discuss & communicate in a very concise and simple way the various options available to me, taking time for me to understand and clarify where necessary. My understanding & knowledge of taxation & pensions has increased significantly allowing me to feel much happier making financial decisions for the future. Adam offered a range of financial products , the one he suggested was affordable and proved to be a good choice. Returns on investments have exceeded my expectations, based on Adam’s advice and guidance. Profits have enabled house improvements to take place. Adam arranged an appointment very timely, he explained his role and qualifications as an IFA giving me reassurance , we went through my retirement and investment goals. Adam discussed my options explaining in great detail, I felt relaxed during our discussions allowing me to fully understand my choices. I feel very confident in the financial advice allowing me to enjoy my retirement. I was very happy with Adam’s recommendations and explanations of financial products which would suit my retirement goals, I feel this has helped me review and reduce my financial risk as I reach retirement, leaving me feeling confident that I can enjoy my retirement plans. Adam did a review of our financial situation, confirmed that Flexible Drawdown best suited our needs as a family, and then did all the research into the best product for us. He will continue to monitor it for me. He acted extremely promptly because we had a deadline for requiring the lump sum; went out of his way arranging meetings during non-office hours, was professional yet friendly and explained a difficult subject very well. After initial meeting Adam put together a very detailed and thorough written plan. At our second meeting he went through the whole booklet and explained everything in layman’s terms which made it a lot easier to understand. I am very happy with everything that was suggested and put in place especially with something as big and important as pensions. Adam and his team have taken a huge weight off my shoulders and I would highly recommend their services to anyone needing help with their financial planning and pension. Adam couldn’t have been more helpful, and even came outside his normal area to meet me on a number of occasions. Adam did a thorough review of my pension policies, clearly explained how well they had performed, how flexible they were, how the market regulation has changed, and, crucially, what the tax implications would be if I were to leave them untouched. He accurately assessed my attitude to risk and recommended an up-to-date solution that will offer me the greatest flexibility at retirement. Adam and his team undertook in-depth research into our existing QROPS schemes and clearly set out both pros and cons of transferring the funds back to the UK. Having decided to go ahead with the transfer, Adam and his team worked extremely hard to facilitate the transfer. The QROPS pension trustees were not always the most professional or responsive organisation – however we were very grateful for the perseverance and commitment that Adam showed us as clients. Unfortunately I had to claim on my critical illness insurance due to my wife being ill and because of the sound advice Adam gave in acquiring this insurance we ended up being financially safe through a tough time. 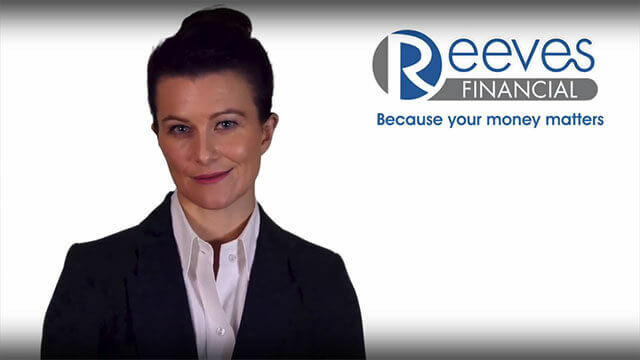 Reeves Financial a trading style of Money Matters South East Ltd is an appointed representative of The On-Line Partnership Limited which is authorised and regulated by the Financial Conduct Authority. Registered in England No. 05062663. Registered Address: Hampton House, High Street, East Grinstead, West Sussex RH19 3AW.